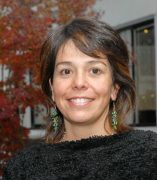 Helena María Olea Rodríguez is Adjunct Professor in Criminology, Law and Justice and Latin American and Latino Studies at the University of Illinois, Chicago. She has a Juris Doctor Degree from Universidad de los Andes, Bogotá, Colombia and an LL.M Degree from the University of Notre Dame, Indiana, USA. Her research and teaching interests include: human rights, gender studies, immigration, refugee studies and statelessness. She is particularly interested in exploring ways in which non-citizens rights and gender discrimination cases can seek protection through domestic and international litigation. She was the founder of the immigrants and refugees law clinic at Universidad Diego Portales (Chile). She has experience on advocacy before United Nations treaty bodies and charter-based bodies and she has litigated before the Inter-American human rights system. In 2013, she edited Derecho y Pueblo Mapuche, Aportes para la Discusión (Universidad Diego Portales). She has published journal articles and book chapters on migrant human rights and women’s rights.